Materials Modification Inc. Fairfax, Va.
Nanotechnology has been researched now for over a decade. After many early promises of runaway successes, several practical products have now begun to appear for use by industries and consumers. In this talk, I will start by giving a number of common examples and move on to some of the significant achievements that have helped better the productive and quality control environment in industry. The use of nanotechnology to accurately tailor properties and uses and to create just in time manufacturing or personalized products will be discussed. The numerous products in the pipeline, their economic impact, the dynamic possibility of prosperity and the next generation of approaches that will have an influence on the environment and regulations will also be highlighted. Dr. Sudarshan is an entrepreneur that has created several products by straddling the boundaries between research and reality. Dr. Sudarshan and his team have been responsible for bridging the gap from impossible to possible and from converting scientific knowledge into technology. He is the editor of two international journals: “Materials and Manufacturing Processes” and “Surface Engineering” and has chaired 28 conferences on surface modification technologies worldwide. He received his B. Tech in Metallurgy from IITM, and his M.S. and PhD degrees in Materials Engineering from Virginia Tech. He holds numerous patents, over 170 publications and has received the Outstanding Young Engineer award, two R&D-100 awards and Design News awards. ​T.S. SUDARSHAN is currently the President and CEO of Materials Modification, Inc. He received his B.Tech. in Metallurgy from the Indian Institute of Technology in Madras, India, and his M.S. and Ph.D. in Materials Engineering Science from Virginia Tech. He worked with Ashok Leyland in the Truck and Bus division as a Senior Metallurgist and later as the Director of R and D at Synergistic Technologies Richmond, Va. For the past 28 years he has been responsible for the management and technical development of innovative materials, processes, and techniques and the development of new technologies related to surface engineering and nanotechnology. His affiliation with ASM started in 1984 and he has been active for over two decades in various committees and is currently the Chair of the ASM-IIM lectureship committee. He also chaired the Surface Engineering Critical Technology sector and has been a member of IMR, JMEP, AMP and Awards committees and is a recently elected member of the ASM Board of Trustees. Dr. Sudarshan has been the recipient of numerous awards and honors, including the Design News Award and R&D 100 for the microwave plasma technique” Nanogen” and for the Plasma Pressure Compaction technique and the Outstanding Young Manufacturing Engineer award from SAE. He has served on numerous committees of the National Science Foundation, National Institutes of Health, U.S. Army, Michigan Economic Development Council, National Research Council and ASM International–The Materials Information Society. He has also served on the technical advisory boards of numerous companies over the last two decades. Dr. Sudarshan is also the editor of two journals Materials and Manufacturing Processes and Surface Engineering. 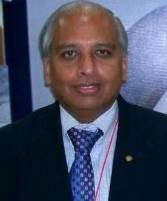 He is a Fellow of ASM International, Fellow of International Federation for Heat Treatment and Surface Engineering and Fellow of Institute of Mining, Metals and Materials, UK and Distinguished Alumnus of IITM and was a member of the National Materials Advisory Board and has served on numerous NRC committees. He is the coauthor of 175 publications and coeditor of 30 books including 28 books on surface modification technologies.